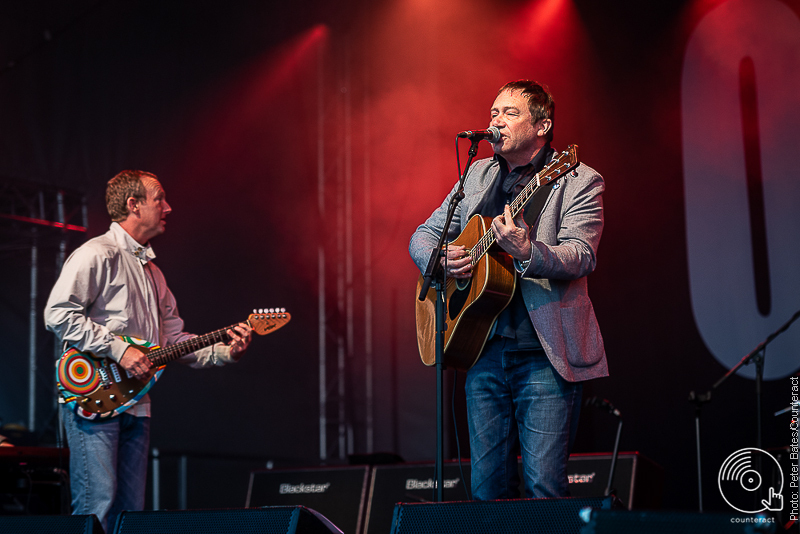 Moseley-born Britrock veterans Ocean Colour Scene played a hit-laden set to frighten the horses at Wolverhampton Racecourse on on Friday 31st August. Wolverhampton Racecourse is usually the place you’d go to see yuppie Yam Yams spilling Stella and stroking betting slips as well-hung horses fly by. 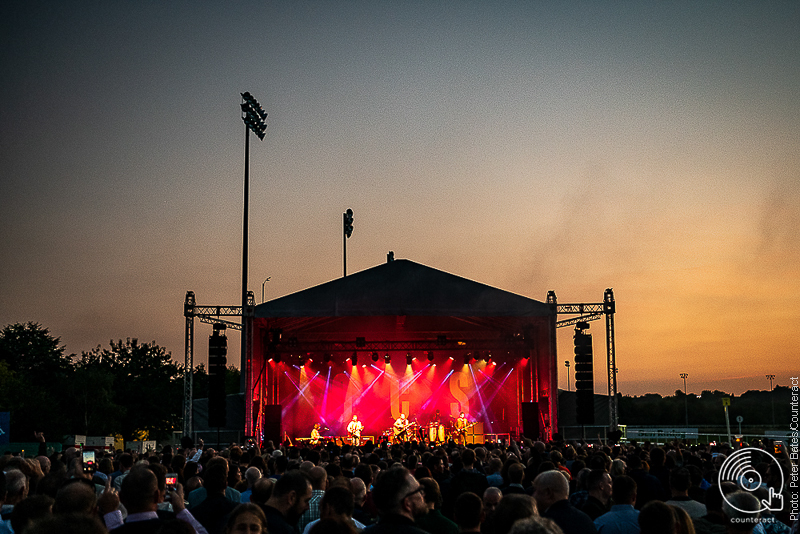 On a balmy Friday evening, though, the only event worth betting on is that Brummie legends Ocean Colour Scene will deliver a set brimming with classics that would see even the most pop-oriented pony trade its fetlocks for a mod crop. For Ocean Colour Scene have proven to be the definition of a safe bet – they don’t rock the boat, they don’t make drastic changes and they don’t (anymore, alas) bother fans with new material, but they do play setlists that demonstrate their melodic craft, their Herculean way with a hook and Simon ‘Foxy’ Fowler’s feral howl. The Moseley five-piece have always been an unfair cause of derision in the music press, but there’s something incredibly endearing about the fact that while the world may fall into chaos and Kim Kardashian’s bum may be used to grow medicinal marijuana, Ocean Colour Scene will always be here. 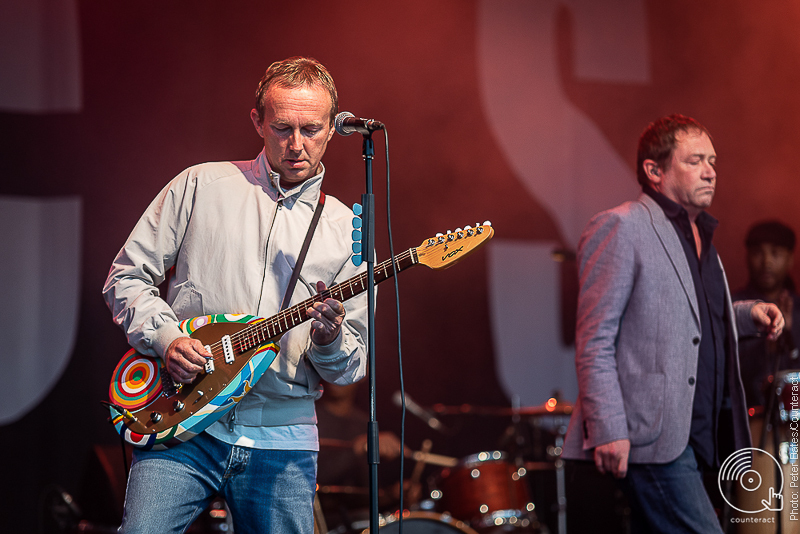 Fowler, funsized fretworker Steve Cradock and drumming powerhouse Oscar Harrison take to the racecourse stage, a little more rotund around the midriff and a little sparser on the scalp, but as soon as they begin the reflective acoustic strains of ‘Profit In Peace’, the bulging audience realise nothing has changed. 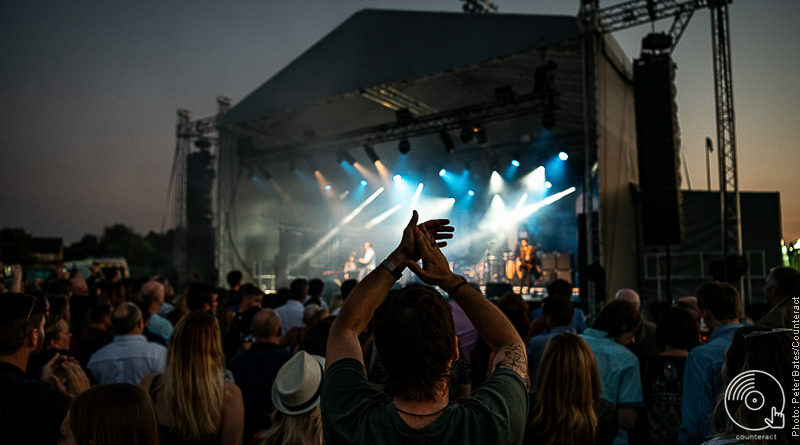 ‘The Riverboat Song”s seminal riff then bleeds into view, showcasing the myriad talents of Cradock as he gallops and grinds on the far corner of the stage. Fowler is also in fine form, belting out the latter-day coastal anthem Saturday and the crunching, epic ‘Get Blown Away’. While the hits from the ’90s are greeted the most warmly – the bittersweet melodies of ‘The Circle’, the twinkling melancholia of ‘Better Day’ and the rollicking ‘You’ve Got It Bad’ – the songs aired from the slightly later period in the band’s life are equally well received. 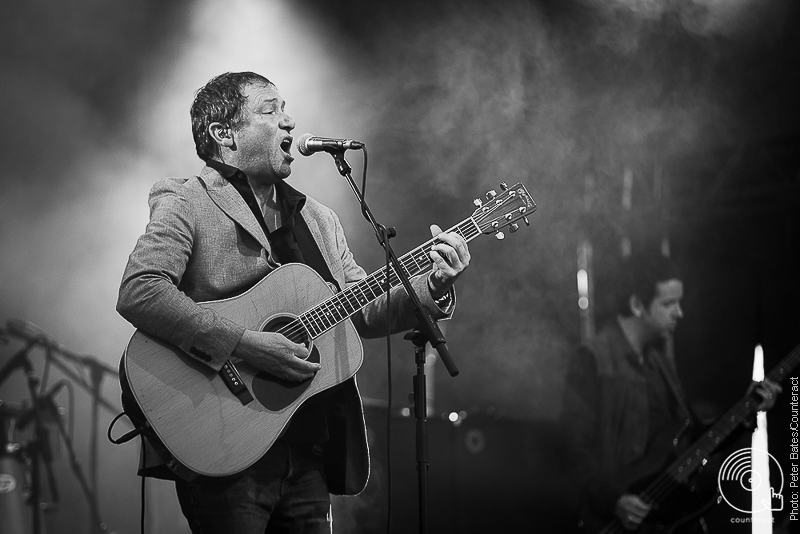 For example, the pummeling guitar motifs of ‘I Just Need Myself’, taken from the underrated 2003 record North Atlantic Drift, is blistering and brilliant, ‘Mechanical Wonder’ has a twinkly-eyed nostalgia and the chiming ‘Free My Name’ show that it doesn’t matter what era OCS operate in, they can provide melodies for days. 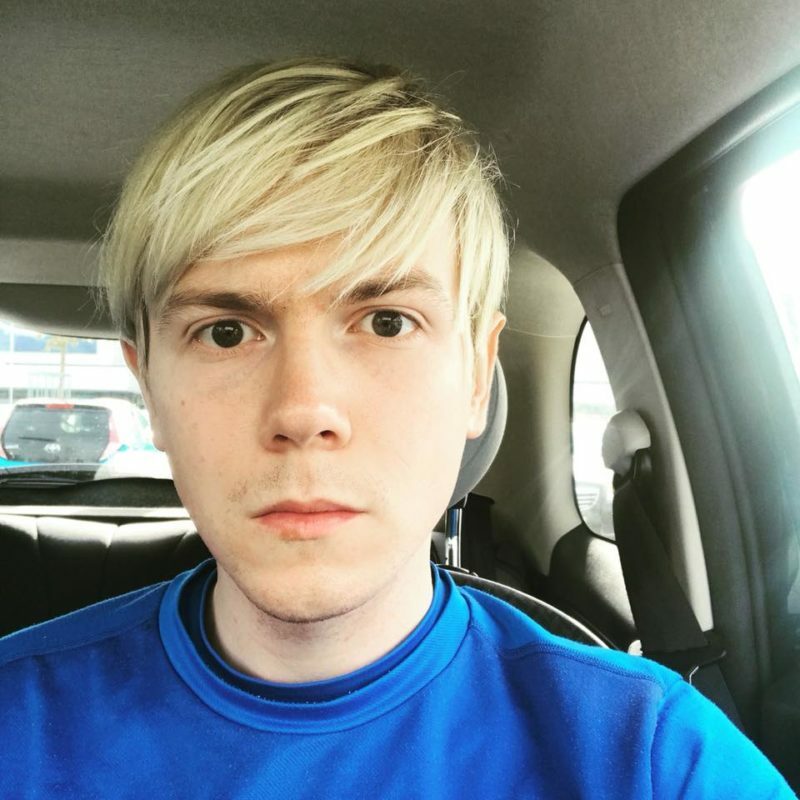 It’s been over five years since the Brummie band have released any new material, and there is a lingering feeling that fans would really like to hear some fresh songs to slot in among the hits. For now, though, the group can enjoy resting on their laurels. And when you have songs as aching and epic as ‘The Day We Caught the Train’, you really don’t have to worry. Bet on the horse OCS – it may be getting on but it’ll be a long time before this filly is sent to the glue factory.